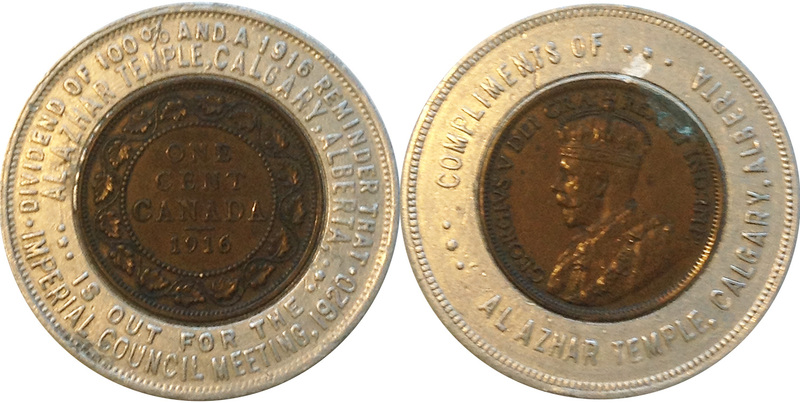 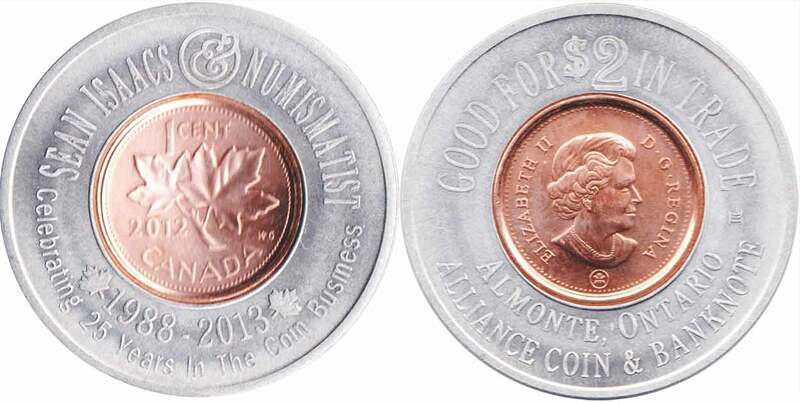 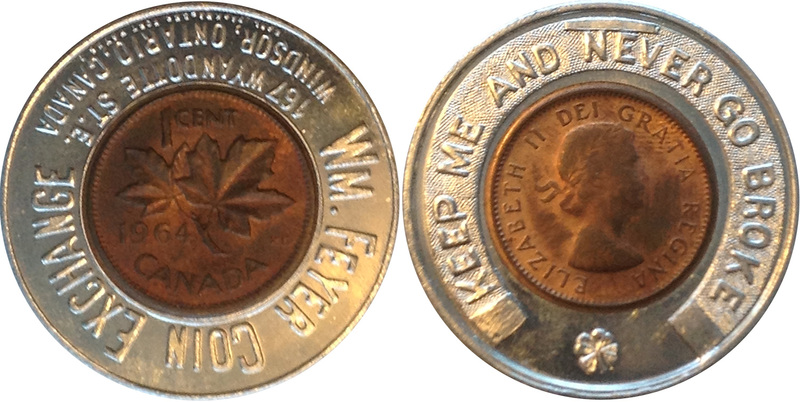 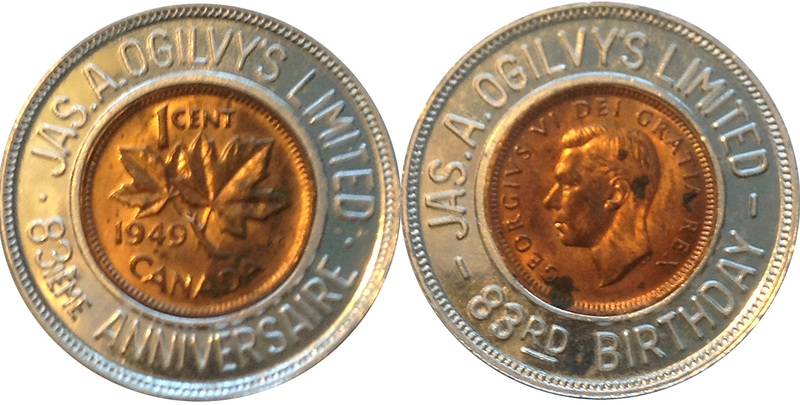 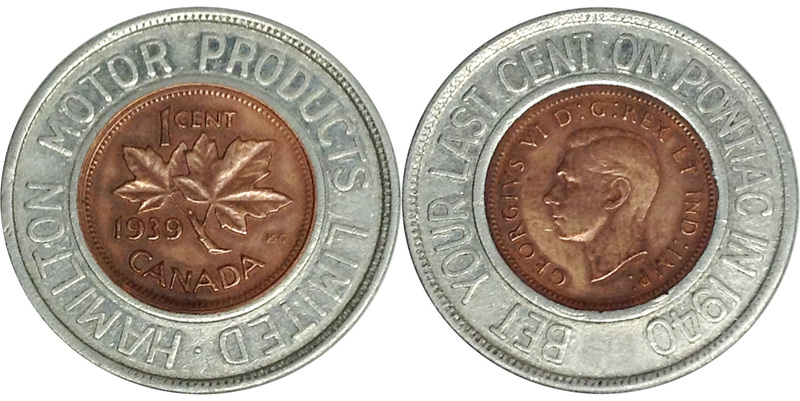 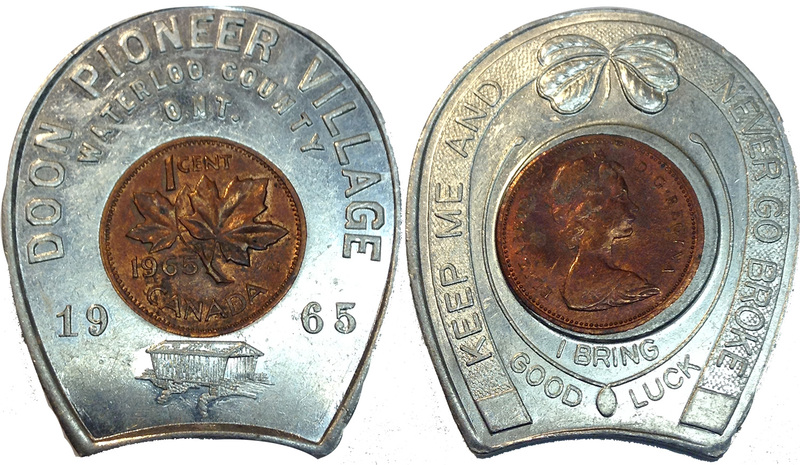 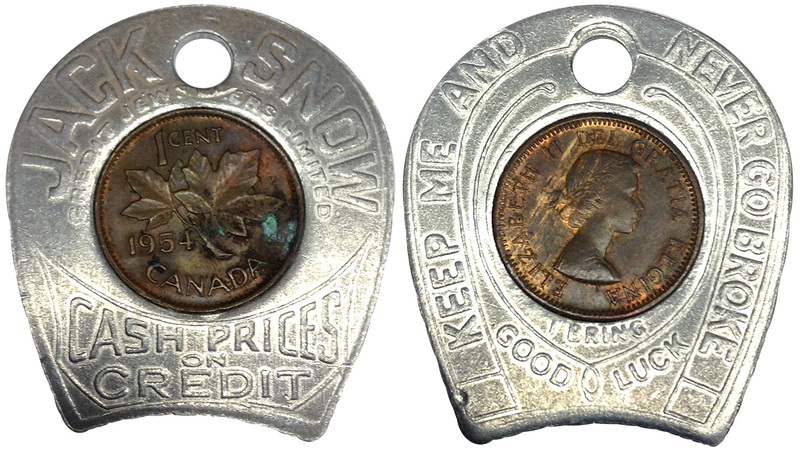 Here's a list of known canadian encased coins. 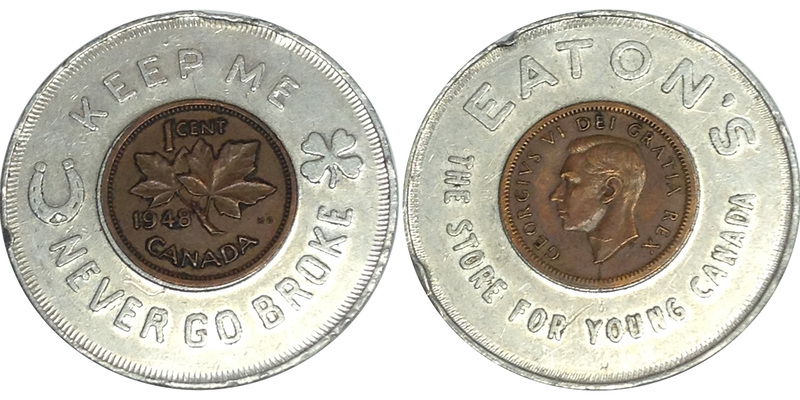 Outer: Obv. 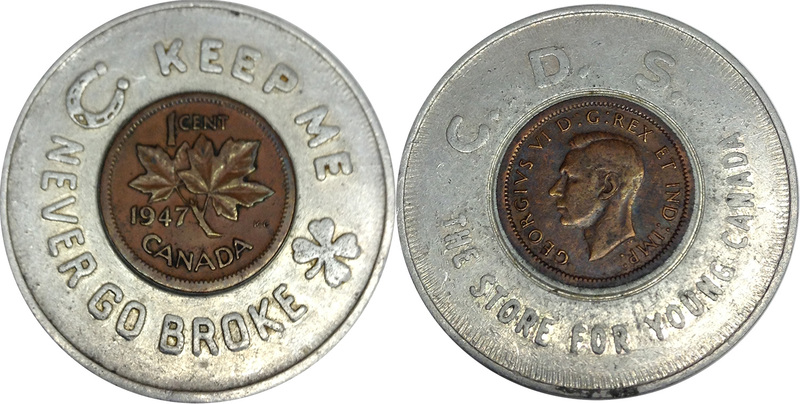 : Keep Me And Never Go Broke I Bring Good Luck / Rev. 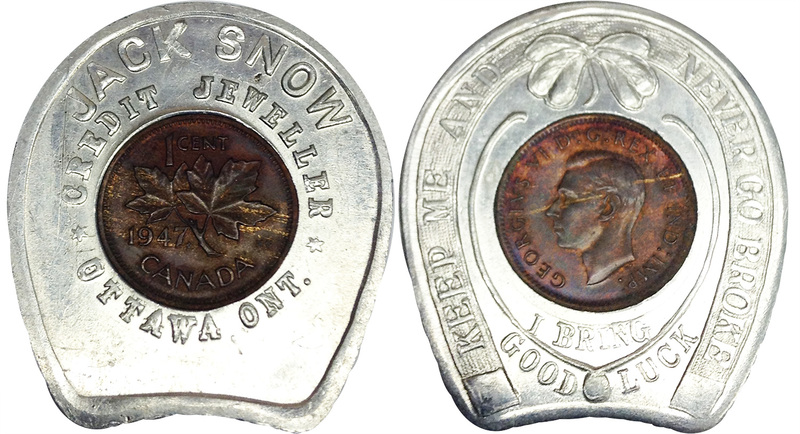 : Jack Snow Credit Jeweller Otta Ont.